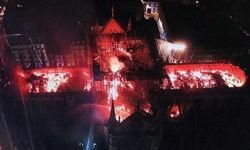 Kiev, April 22, Interfax - Newly elected President of Ukraine Vladimir Zelensky will put an end to state interference in church affairs, Metropolitan Onufry of Kiev and All Ukraine said. "On behalf of the Ukrainian Orthodox Church in its entirety and myself personally I sincerely congratulate you on being elected president of Ukraine. Your confident victory in this election shows that Ukrainian society has a great amount of trust in you. It also shows that the priorities of the country's development are in line with the hopes and ambitions of our people, who wish for their Motherland unity, peace and prosperity, as well as the eradication of everything that brings division and feud to the Ukrainian state," the metropolitan said in his congratulatory address to Zelensky, which was posted on the Ukrainian Orthodox Church website. "I am confident that your service in the post of president of Ukraine will guarantee the observance by the state administration of the Constitution, the principle of non-interference by the state in church affairs, which is determined by the Main Law, and also the rights and freedoms of believers of all religions," the head of the Ukrainian Orthodox Church said in his address to Zelensky. Metropolitan Onufry told Zelensky that he can hope for the "unconditional support of the Ukrainian Orthodox Church in all that will promote the assertion and development of the spiritual and moral values of Ukrainian society." In closing, the head of the canonical Church wished Zelensky God's blessing in his "new and responsible line of service to Ukraine and its people."